They are no longer The Mighty. They are The Champions. Anaheim closed the 2006-07 season with a 6-2 win over the Ottawa Senators. Enough said. Now onto the trade season and news that I can get truly excited by. Special thanks to Perry for closing the sixth goal and taking away all hope for Ottawa. It was a fun season to watch -- and we haven't seen a team with the most league penalty minutes win the Stanley Cup since the Broad Street Bullies (Flyers) winning the cup in the late seventies (thanks DL). With all of the new rules and the backward officiating all teams suffered, tonight's end demonstrates that "force and bullying" remind everyone in hockey why fighting is integral to the game. Niedermayer lifts the Cup. The season is over. 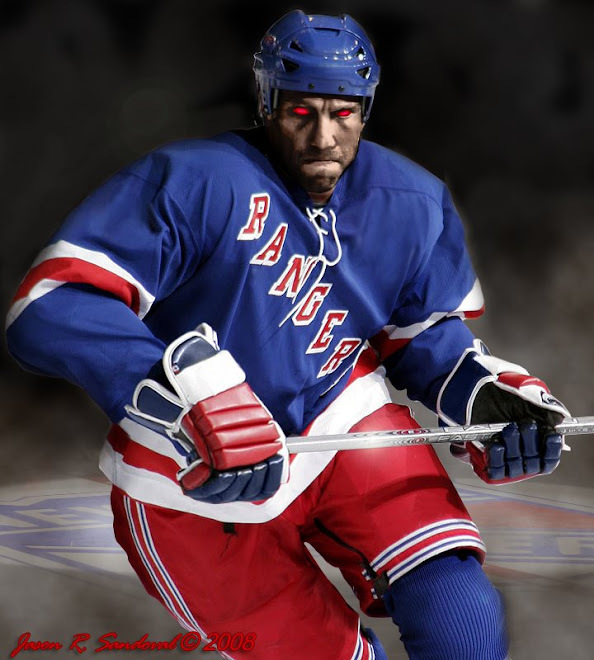 The Dark Ranger salutes and let the real business of hockey trading begin.